Why does eastern France celebrate Saint-Nicolas today? Father Christmas may be known for his present delivery on December 24, but in the east of France, another bearded figure bearing gifts - Saint-Nicolas - is still celebrated much earlier, on December 6. 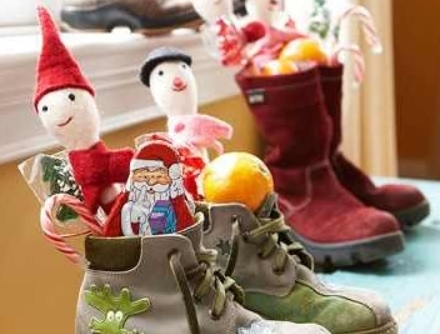 The departments of Flanders, Alsace, Champagne and Franche-Comté are the main regions to celebrate Saint-Nicolas in France. He is usually depicted as a bishop with a white beard accompanied by donkeys, and who brings gifts for children. The tradition is said to date back to the Battle of Nancy, in 1477. The Duke of Lorraine, René II, led his army into battle with the Duke of Burgundy (Charles le Téméraire or Charles The Bold), having asked for protection from Saint-Nicolas. René II’s side won, and since then, Saint-Nicolas has been celebrated in nearby regions. The saint himself is said to be based on a real person, too: Nicolas de Myre, also known as Nicolas de Bari - a bishop born in the third century, in what is present-day Turkey. The bishop was known for protecting children, widows, and vulnerable people, and celebrated as a kind and generous man. During his life, he was the victim of persecution by the Roman emperor Diocletian, and was imprisoned and forced into exile. Soon after his death on December 6 in the year 343, miracles started to become attributed to the bishop’s spirit, and he became known as Saint-Nicolas, patron saint of children, sailors, unmarried people, and prisoners. Today, he is celebrated in many central and eastern European countries, including Germany, Austria, Luxembourg, the Netherlands, Romania, Switzerland, Belgium, and some parts of France. As the story goes, on the night of December 5, he comes into people’s houses down the chimney, and gives presents to good children. Traditional gifts include apples, dried fruit, chocolates, and a traditional kind of gingerbread baked into the shape of the bishop himself. In some regions, such as Alsace and Moselle, local bakeries prepare brioche-style treats called Le Mannele, which are shaped into the form of a bishop, and are sometimes flavoured with raisins or chocolate chips. Saint-Nicolas also has a dark version who is sometimes seen travelling with him: the Père Fouettard (Father Fouettard), who gives less delicious gifts to bad children. These might include coal, potatoes, beetroots, and onions.